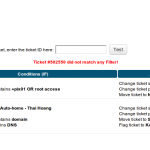 new WHMCS Ticket Filter is fully compatible with latest WHMCS (both v5 and v6). 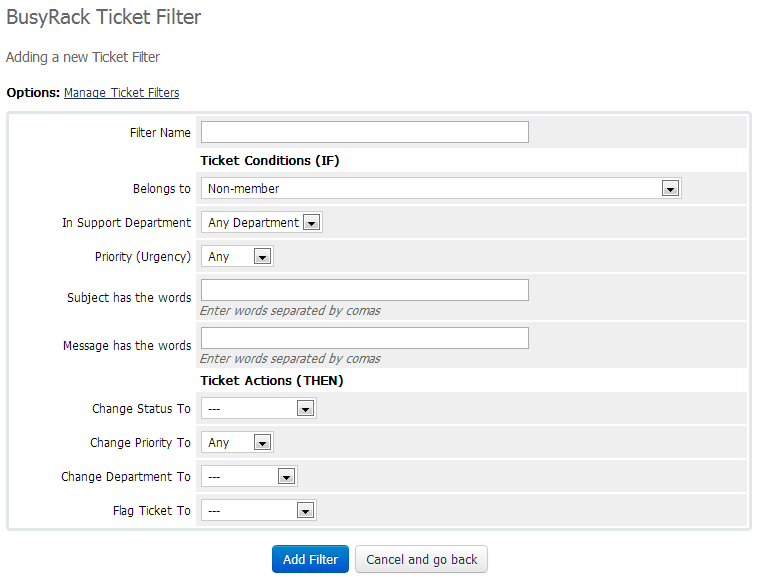 Create multiple Filters for new tickets. 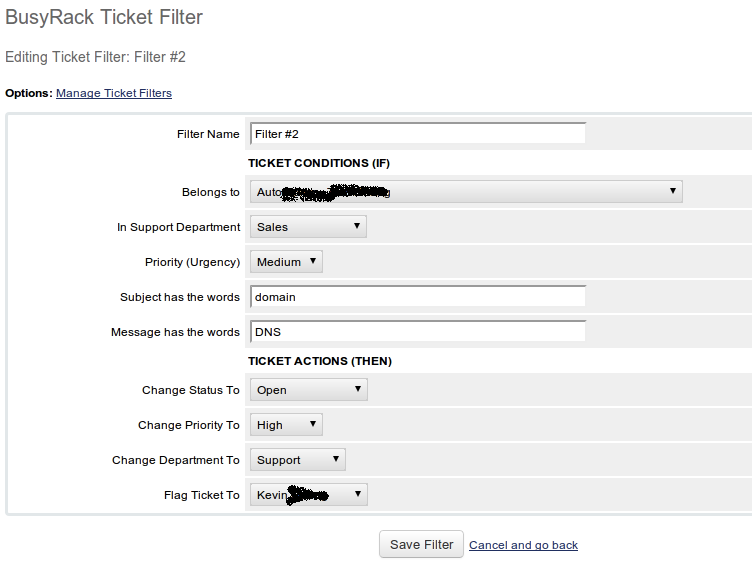 Supported Conditions: Client Account, Department, Priority, Subject, Message. 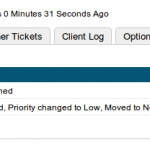 Supported Actions: Change Status, Change Priority, Change Department, Assign to Admin. 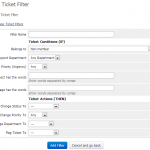 Activate the addon in Setup >> Addon Modules and enter a license key. 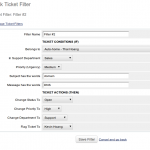 Enjoy creating Filter Rules and benefit.